“Literally, during the first two Oxygen Therapy treatments, I found parts of my brain waking up and the fogginess becoming less intrusive. By the time I finished 80 treatments, I had rediscovered the ability to enjoy reading a book again for the first time in five years! Writing this simple statement would have taken me three or four hours before treatment but now, a matter of fifteen minutes. 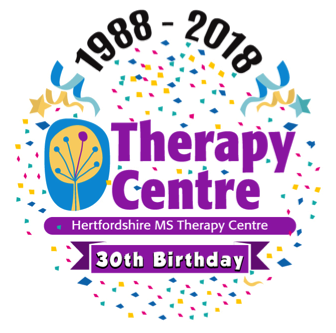 Herts MS Therapy Centre is a registered charity. We have the only Oxygen Chamber in Herts and try to help as many people as we can – with any long term or neurological condition.